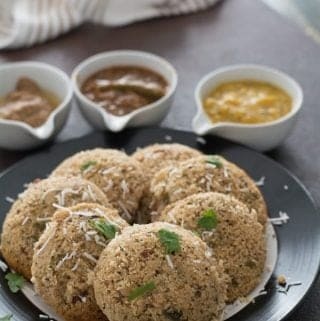 Oats idli is easier and simple to make. And this is an instant version of making the authentic and traditional Idli. 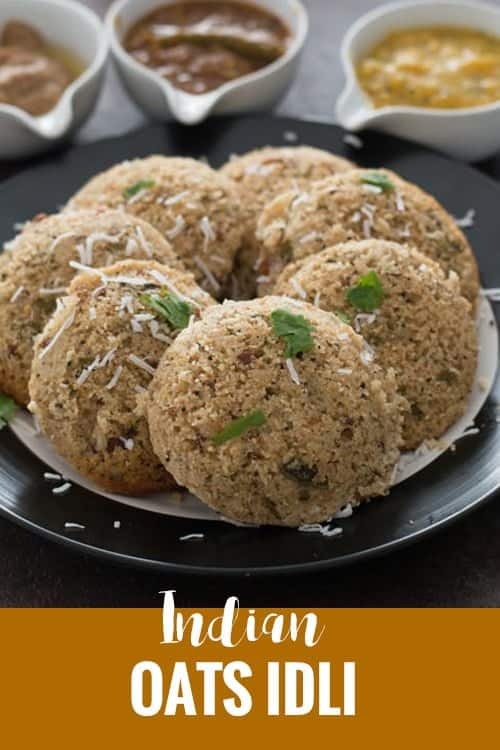 This oats idli is a tasty attempt to make idli that does tastes authentic in a traditional way but by giving a modern twist. This recipe is perfect for breakfast and also great to be served at weeknight dinners. The Leftovers can be refrigerated and can use it for later days in that week. And this is the recipe for the people who want to infuse oats into the diet. and for people who are still looking for good recipes and still want to avoid making oatmeal for the breakfast. As a matter of fact, everyone is diet conscious and health-conscious nowadays and everyone wants to cut down the calories and carbohydrates in their diet. And everyone is looking out to substitute rice with other sorts of drains. So thought of sharing this recipe in an attempt to satisfy the needs of the people who are searching for the good oats recipes in Indian cuisine. 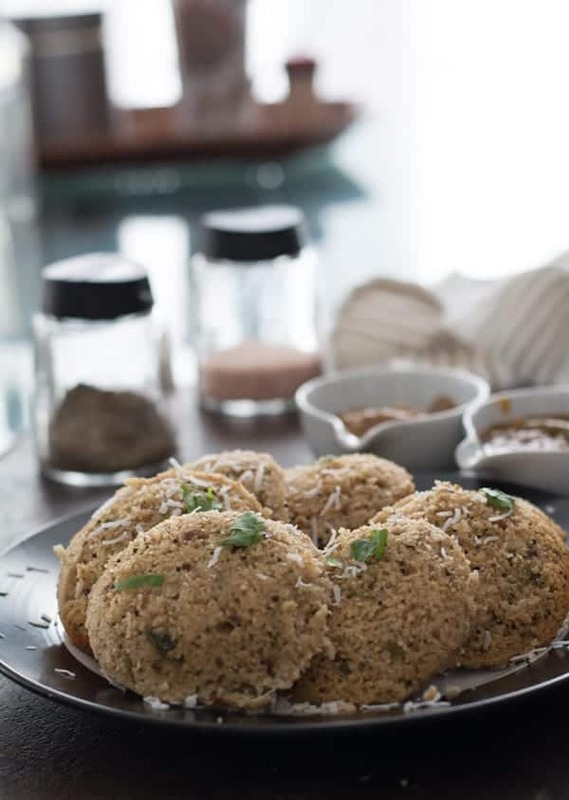 I just wanted to mention that earlier I have shared Vermicelli Idli, which was also a most sought recipe on our website. Since idli is the favorite food for both North Indian and South Indian people. And this recipe is for you when you want to make traditional idli effortlessly. So and also are their advantage of making this recipe is no need of soaking, grinding or fermenting is required for making this oats idli. Time involved in making the batter is lesser. Within 10 to 15 minutes you can make the batter and still you bet the same soft and spongy idli texture. I feel this oats idli is heavier for my breakfast and I make this for weeknight dinners. Best condiments for this oats idli are Coconut chutney, coriander chutney, and sambar. Fry oats for 2-3 minutes or until it does change its color slightly. Allow it to cool for few minutes and grind it to a coarse powder. And keep it aside. Heat a teaspoon of cooking oil in a pan, Add mustard seeds, urad dal, chana dal, curry leaves, asafoedita. Fry them until mustard splutters. Then add 1/4th cups of rava and fry them for 2 minutes. In a mixing bowl, add the fried rava mixture, oats powder, curd, salt, coriander leaves. Blend it well and leave the batter on the kitchen counter for about 10 minutes. Stir and check for the consistency of the batter, if it is too thick add water, and half a teaspoon of Eno salt. Now give a gentle stir. In the idli molds, apply few drops of oil and grease them well. Add the batter gently. Steam it for 10-12 minutes or until the inserted toothpick comes out clean. Serve with coconut chutney, sambar or coriander chutney. 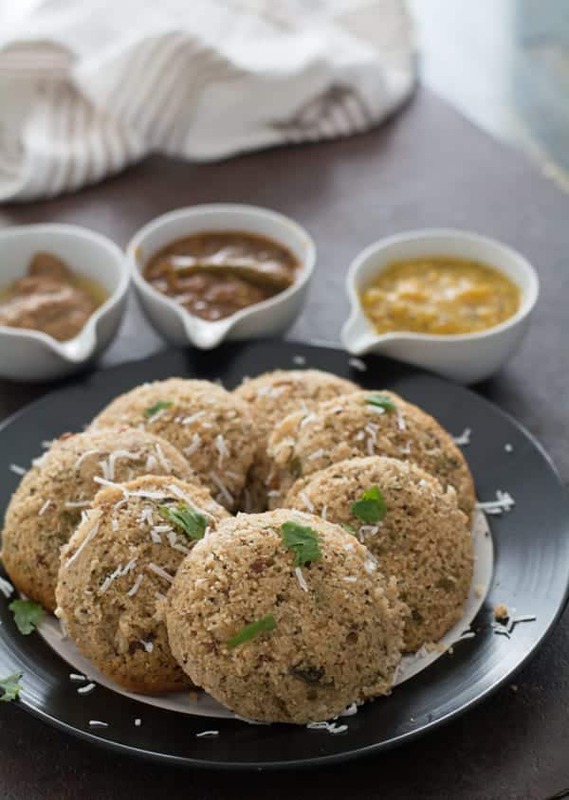 Oats idli recipe is easy and simple to make. Learn how to make this healthy breakfast with step by step pictures. Made under 30 minutes. The idli is fluffy, spongy and soft. Best to be served with coconut chutney. In a pan add oats and fry them for 2 minutes in medium flame. Grind them coarsely and keep it aside. In a pan, add cooking oil, mustard seeds, urad dal, chana dal, asafoedita and curry leaves. Fry them until mustard splutters and urad dal changes it color. Add rava and fry again for 2 minutes. In a mixing bowl, add this rava mixture, powdered oats, curd, salt. Now add water and eno salt and give a gently stir. Grease the idli moulds and pour the batter equally and evenly. Steam it for 10-12 minutes or until it cooked perfectly. Serve hot with coconut chutney, sambar. Rava or sooji in this recipe gives out a great texture. This recipe is good for making 7-10 idlies. And is good for 2 people. Adjust the quantity according to your serving size. I made this oats idli with steel cut oats. And procedure and the quantity also remains the same for another verity of oats like instant oats. Grinding oats coarsely is great for the texture. And it does not makes any changes in the taste or flavor. Add curd and mix the oats mixture. The consistency of the batter should be thicker. If it is too thicker, then add water. Add grated carrots or capsicum or cabbage or any or all of them. Add fried cashew or almonds to make oats idli rich. Add green chilies or red chilies to make it spicier. You may also use cups, bowls as molds for making this oats idli. Grease it properly and steam it. And this looks great and great way to serve the children. Wow.. Such a healthy recipe!! would try it out for sure..